Since there is currently a shortage of pharmacists to keep up with the increased demand for patient services and growing number of prescriptions filled each year, many organizations are offering scholarships for pharmacy students to encourage qualified individuals to fulfill open positions in the field. Along with years of schooling and difficult coursework, pharmacy school entails steep tuition bills that most students cannot afford to pay on their own. Luckily, the following are 25 of the most generous scholarships available specifically for pharmacy students to lessen the financial burden of achieving their rewarding career goals as a pharmacist. Sponsored by the American Foundation for Pharmaceutical Education (AFPE), the Gateway Research Scholarship is designed to grant up to $5,000 for promising pre-professional or baccalaureate pharmacy degree students in order to support their participation in a faculty-mentored research project. Eligible candidates must have completed at least one year of college, be enrolled full-time, be a U.S. citizen, and submit a personal letter explaining their career interests in pharmaceutical sciences. For those interested in active duty upon graduation, the Air Force Health Professions Scholarship program provides up to $45,000 each year with a monthly stipend of $2,060 to cover living expenses for aspiring pharmacists, optometrists, clinical psychologists, nurses, medical doctors, dentists, and public health officers. Qualified candidates must be U.S. citizens, be accepted at an accredited graduate institution, and sign an agreement to serving one year per year of participation. In recognition of students who choose to invest their time in their school’s APhA chapter while managing the demands of a full-time pharmacy curriculum, the American Pharmacists’ Association (APhA) Student Scholarship awards up to $3,000 annually to members who have completed at least one academic year of the professional program. Eligible applicants must show active participation in their chapter’s activities and have a cumulative GPA of 2.7 or better. Sponsored by the Garden Clubs of America, the Anne S. Chatham Fellowship in Medicinal Botany provides at least one grant of $4,500 annually to currently enrolled Ph.D. or Pharm.D. students who wish to assist medical science in its ability to protect lives by conducting research on medicines from plants with therapeutic potential. Applicants must submit a brief application letter, two-page research proposal, financial budget, current curriculum vitae, and letter of recommendation from faculty advisor. With the mission of encouraging students to pursue a career that advances the Kingdom of Jesus Christ and the profession of pharmacy, the Christian Pharmacist Fellowship International Scholarship is offered for up to $2,500 to students enrolled in accredited pharmacy colleges for the advancement of knowledge and ethics in the practice of pharmacy with an integration of faith. Preference will be given to students who are current members of a college chapter of the national CPFI organization. Administered by the Kentucky Higher Education Assistance Authority (KHEAA), the Coal County Scholarship for Pharmacy Students provides financial aid to Kentucky residents who are actively pursuing a pharmacy degree from an accredited school of pharmacy in the state. Recipients of the scholarship funding must agree to work at least one year as a full-time licensed pharmacist in a Kentucky coal-producing county upon degree completion. The CVS Caremark Charitable Trust Pharmacy Scholarship is designed to advance the business of pharmacy by providing financial support to the most promising pharmacists of tomorrow as they complete their education. In order to be eligible for up to $5,000 in scholarship funding, students must be currently enrolled at an institution in the United States or Puerto Rico accredited by the Accreditation Council for Pharmacy Education (ACPE) full-time. Established by the international professional pharmacy fraternity known as Lambda Kappa Sigma, the Dr. B. Olive Cole Graduate Educational Grant is available for up to $2,500 to members in good standing who are currently enrolled in a licensure eligible U.S. pharmacy degree program full-time. Qualified candidates must have successfully completed at least one-fourth of the program’s required credits and rank in the upper half of their class academically. 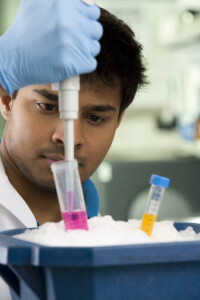 In order to support the efforts of academic pharmacy by educating students with diverse interests, the Express Scripts Scholars Program provides four $10,000 scholarships to graduate students enrolled full-time in a professional pharmacy degree program accredited by the ACPE to pursue a dual degree in another field closely related to pharmacy. Selection for the scholarships will be strongly based on career goals, professional involvement, work experience, and financial need from low-socioeconomic status. Sponsored by the Alaska Pharmacists Association (AkPhA), the Francis C. Bowden Memorial Scholarship program provides $1,500 for professional pharmacy students, $1,000 to pre-pharmacy students, and $500 to pharmacy technician students. For consideration, applicants must be Alaska residents, be enrolled in a pharmacy degree program at an ACPE-accredited school of pharmacy in the state, and submit a personal statement discussing Alaskan background and career goals helping the association. Administered by the U.S. Department of Health and Human Services, the Health Resources and Services Administration distributes Scholarships for Disadvantaged Students for varying amounts to students at participating accredited health profession schools with a major in osteopathic medicine, dentistry, veterinary medicine, optometry, podiatry, pharmacy, chiropractic, mental health, public health, nursing, or allied health. Qualified students must be from medically underserved communities with a low-level income based on family size. Each year, the National Community Pharmacists Association (NCPA) Foundation grants the J.C. and Rheba Cobb Memorial Scholarship for $2,000 with a $300 travel stipend to attend the annual convention for pharmacy student members who are currently enrolled in an accredited U.S. college of pharmacy on a full-time basis. Recipients will be chosen on the basis of demonstrated interest in governmental affairs, leadership qualities, involvement in extra-curricular professional activities, and academic achievement. For students enrolled at Marshall University, West Virginia University, the University of Charleston, Ohio State University, and the University of Rio Grande, the Parkersburg Area Community Foundation offers up to 25 Jack and Frances Fruth Family Pharmacy Scholarships annually. Qualified candidates must be enrolled full or part-time, have a minimum cumulative GPA of 2.5 or higher, and be pursuing an accredited degree in pharmacy. In honor of a couple who dedicated more than 40 years of their lives to supporting pharmacy education in Texas, the Luther and Mary Ann Park Scholarship awards $1,000 to student members currently enrolled in their fourth professional year at an accredited college of pharmacy in Texas with a minimum cumulative GPA of 2.5 or higher. Applicants will be judged based on financial need, academic performance, involvement in professional activities, and potential for becoming a leader in Texas pharmacy. Annually, the Maryland Pharmacists Association (MdPhA) awards three scholarships for $1,500 apiece to Maryland residents who are currently enrolled in an accredited degree program to pursue a career in the field of pharmacy and are in good academic standing with a minimum cumulative GPA of 2.5 or higher. Along with the application, candidates are asked to attach proof of Maryland residency, an official sealed transcript, a current CV or resume, two letters of recommendation, and a 750-word essay on professional objectives. With the goal of recruiting and retaining healthcare professionals to needed areas throughout the state, the Minnesota Department of Health has established the Rural Pharmacist Loan Forgiveness Program to provide funds for the repayment of qualified educational loans up to $64,000 to students and residents in their final year of training to become a licensed pharmacist. Participants must plan to practice for at least 30 hours per week, for 45 weeks per year, for a minimum of three years in a designated high-need rural area. For student members of the National Community Pharmacists Association (NCPA) Foundation, the Partners in Pharmacy Scholarship Program offers $2,000 awards with a $300 travel stipend for attending the annual convention to pharmacy students who are currently enrolled at an accredited U.S. school of pharmacy on a full-time basis. Applicants must submit a recent official transcript, two letters of recommendation from a school official and pharmacy owner, and a resume outlining work experience and participation in professional activities. As the national pharmacy leadership society, Phi Lambda Sigma grants the First Year Graduate Scholarship to student members in the final year of an ACPE-accredited Pharm.D. program who are planning to start their first year in a graduate Ph.D. program upon completion. In order to qualify for the $7,500 award, applicants must submit two letters of recommendation, proof of enrollment, two-page personal statement on educational goals, a list of special honors, and an official college transcript with GRE scores. As a non-profit organization focused on bringing awareness to the comprehensive needs of the older citizens in our communities, the Plough Foundation awards up to 16 Pharmacy Student Scholarships annually for $5,000 apiece to full-time Doctor of Pharmacy (Pharm.D.) students who are enrolled at a participating college of pharmacy in the United States. Plough Scholars will be selected based on academic achievement, leadership qualities, good citizenship, professional involvement, and financial need. Each year, Rite Aid awards numerous competitive pharmacy scholarships for varying amounts to interns or dependents of Rite Aid employees who have completed at least 2 years of a pharmacy degree program and are enrolled full-time at an accredited institution. While it is required that all applicants have a minimum cumulative GPA of 2.5 and are U.S. citizens, preference will be given to those in Arkansas, Minnesota, and Wisconsin where the pharmacy has not established its retail presence yet. For active members in good standing, the Sacramento Valley Pharmacists Association offers scholarships for $2,000 each to students who are currently enrolled in a school of pharmacy to pursue a professional Pharm.D. degree within the state of California. Eligible candidates must have lived a minimum of five years in Sacramento, attend at least six meetings each year, possess a cumulative GPA of 2.5 or higher, and write a two-page essay on future goals. In order to support students pursuing an education in healthcare, the Tylenol Future Care Scholarship Program presents at least 30 scholarships for $5,000 each and 10 scholarships for $10,000 each to students in the United states, Puerto Rico, or the District of Columbia who have completed at least one year of graduate studies in public health, allied health, medicine, nursing, and/or pharmacy. Qualified candidates must be enrolled at an accredited four-year institution, be in good academic standing, and demonstrate involvement in volunteer service. In collaboration with the American Association of Colleges of Pharmacy (AACP), the Walmart Pharmacy Scholars Program provides $1,000 for up to 85 graduate students, professional doctoral students, residents, or fellows annually who are committed to a career in academic pharmacy and participate in the AACP Annual Meeting and Teachers Seminar. Applicants must submit a letter of recommendation from an advising faculty member and an essay exhibiting their interest in academic pharmacy. Annually, the Westshore Pharmaceutical Association offers four scholarships for $1,500 apiece to deserving students residing in Cuyahoga, Lorain, or Medina counties who are currently attending an accredited professional Pharm.D. degree program in pharmacy within Ohio. Preference for the awards is given to students who exhibit an interest in practicing in Cuyahoga or the surrounding counties and becoming involved in the organization’s efforts. Established by the National Community Pharmacists Association (NCPA), the William B. Simmons Memorial Scholarship provides $2,000 and a $300 travel stipend to attend the association’s annual convention for student members who are currently enrolled in an accredited U.S. school of pharmacy on a full-time basis. Selection will be made based on demonstrated interests in independent pharmacy management or entrepreneurism, leadership qualities, involvement in extra-curricular activities, and academic achievement. If you have a passion for helping patients feel better as quickly as possible and are seeking to become a respected member of the healthcare team with high levels of job stability, a career as a pharmacist may be the perfect option. In order to fulfill this professional goal and afford the years of schooling for earning a pharmacy degree without mountains of loan debt, check out these 25 excellent scholarships for pharmacy students just like you.